Let’s face it, there are times in our lives when we just can’t “do it all”. That’s pretty often for me. 😉 I constantly have a running To Do list both on paper and in my mind. Often times, things fall through the cracks, I run out of time, I’m too tired, etc. One thing that often gets overlooked are birthdays. I usually try to make it special for my kids but I seem to run out of time to make cakes or treats for them. The last birthday cake I made, I had to run to the store and buy canned frosting because I totally messed up the frosting I made from scratch. Let’s just say I was going for a green cake and the green was not pretty. It looked gross. Today I’m here to make your life a little easier and to make you look like super mom! 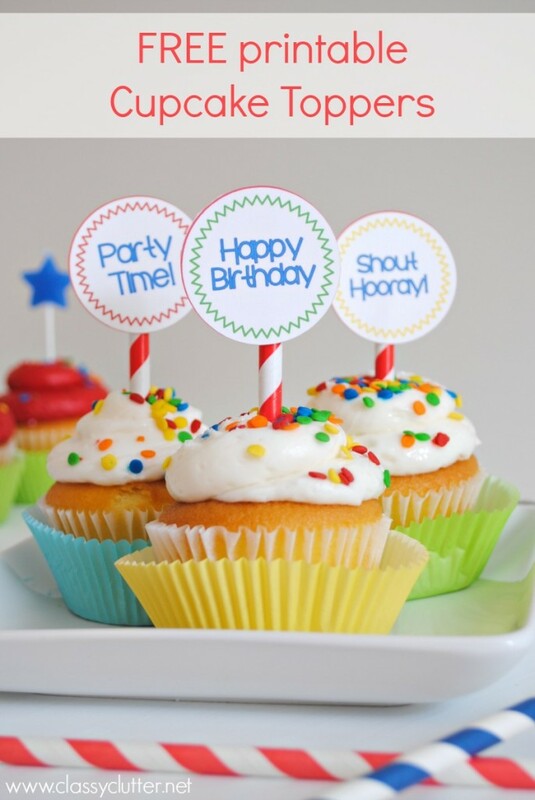 I created these super easy, gender neutral cupcake toppers to jazz up your store bought cupcakes. Yep, store bought, quick, easy and these ones happen to be delicious! Lucky for us, our grocery store has inexpensive treats that taste great. If you’re awesome at baking, you can totally use these on your own cupcakes! 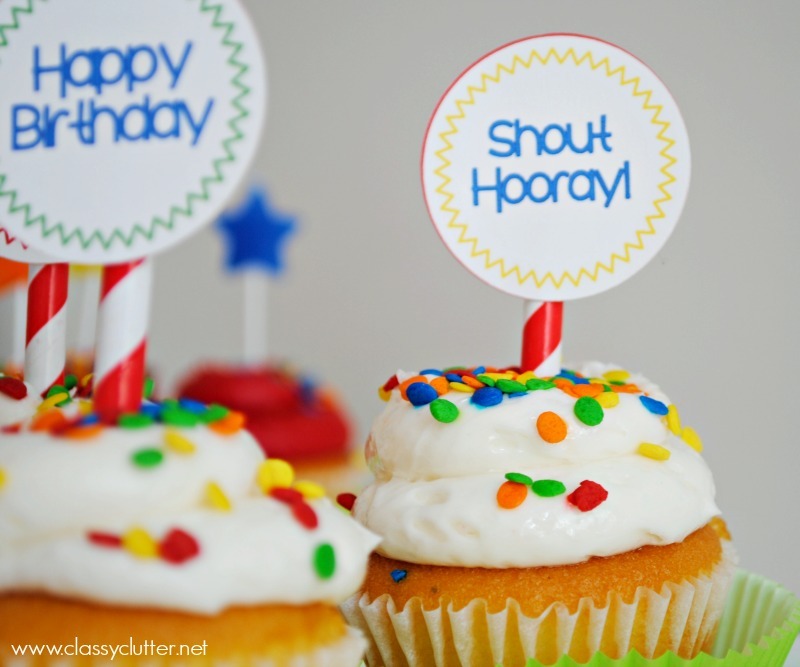 Download your Simple Cupcake Toppers here. All you have to do is download the free printable, print them out and stick them on your cupcakes for a totally custom look. I used paper straws that I cut in thirds and I just taped them on. 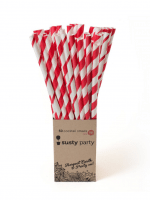 You could also use toothpicks, regular straws, skewers or even birthday candles. Just be sure not to light them. 😉 No one wants a birthday fire. 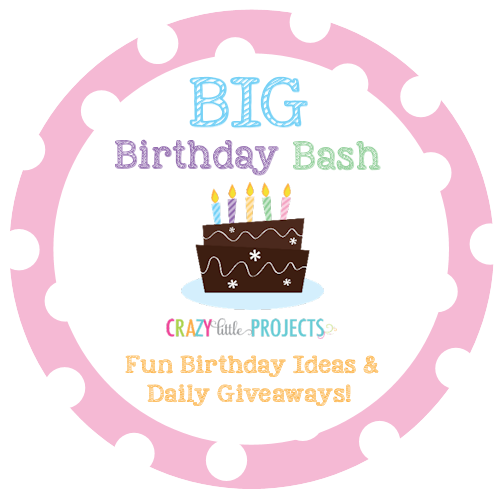 We’re sharing these on this year’s Big Birthday Bash with Crazy Little Projects! 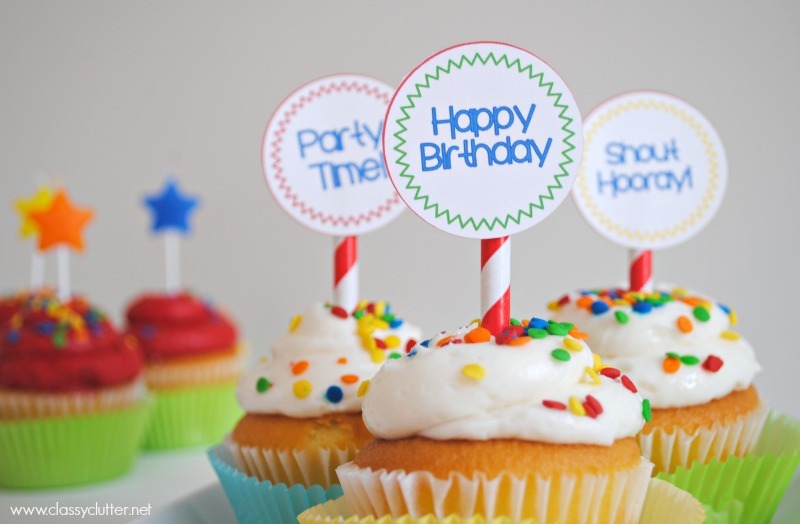 Head over and check out all the Birthday Ideas! There’s even an awesome giveaway going on! Check it out! thank you very much nice post ! !